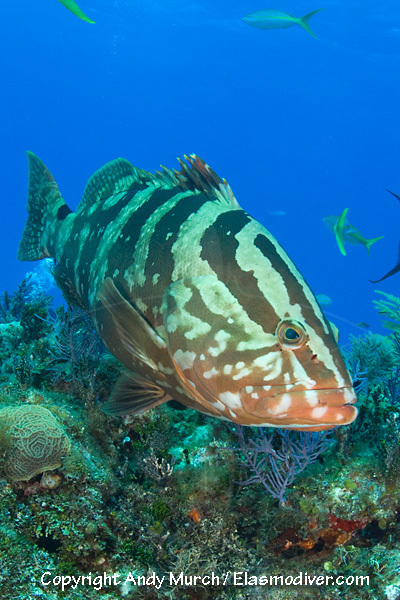 The Nassau Grouper (Epinephelus striatus) is an easily recognizable inhabitant of healthy Caribbean Reefs although overfishing has impacted its populations throughout its range. 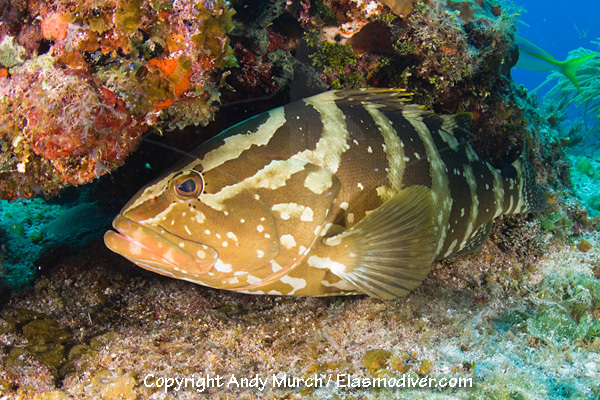 These Nassau Grouper pictures are available for commercial licensing. For further information regarding usage please e-mail Elasmodiver. All of the images on elasmodiver.com are copyright protected. 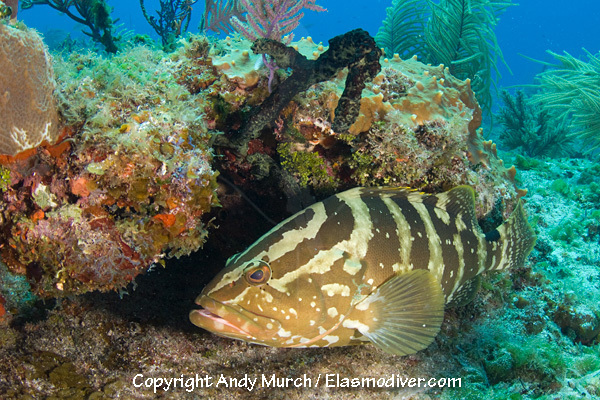 No unauthorized use of these Nassau Grouper pictures is permitted. Please contact Elasmodiver for further information.